November 3, 2015 January 2, 2017 / Elizabeth T.
As a blogger, I often get a lot of questions about working from home, one of the most popular being how I actually manage to get work done in a non-traditional office environment? Though a lot of people question working-from-home-productivity-levels (especially since, uh you know, we don’t even change out of our pajamas), I find that working at home makes me feel so in control (I know exactly what I need to do and when I need to do it by), which in turn, actually increases my level of productivity. But while I do love working from my home office, it’s nothing glamorous (contrary to popular belief, or more like, the overwhelming surge of gorgeous interior spaces that flood our Pinterest accounts daily). My work area is actually quite simple and basic, with minimal decorations and ornaments, just the necessities, such as my computer, laptop, camera, and printer. Everything is very clean, which helps me stay focused, but there are definitely days that I wish I had an office just like those that I see on Instagram. That’s why, today, I wanted to share with you all my dream workspace! For my dream office, I’d like to definitely switch from my current sturdy wooden desk to a more modern one, particularly like this West Elm Lacquer Storage Desk. 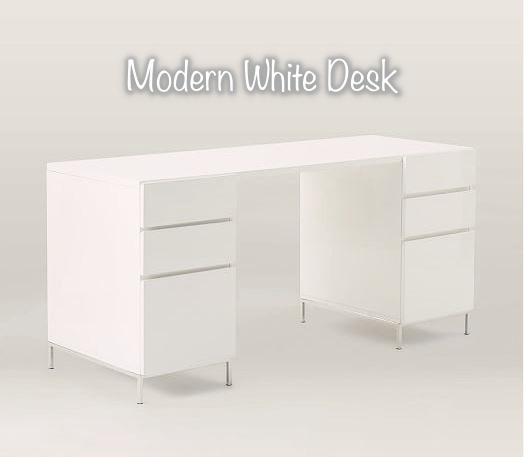 I just love the white high-gloss lacquer finish and the airy steel legs. What’s even better is that it comes with two attached box file units, which will make for such useful storage compartments. While I do like my old desk too, it’s a little old-fashioned, so I’d definitely like to switch it out when I get the chance. Speaking of old, my current chair is a leather chair that I’ve been using since my university years (I actually brought it home with me when I moved out of my college apartment). Despite it being of super good quality, with great leather seats and ample support and cushioning, the chair is nearing the end of its life span, so if I really were to change up my office space, I’d definitely switch out my chair first. 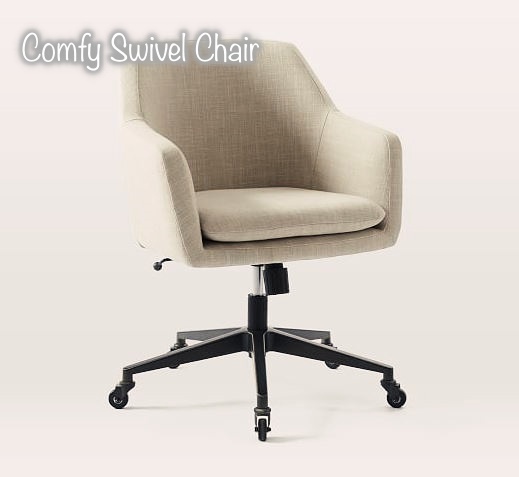 Though I really liked the leather chair I had before, I think I’ll want to go for a chair that’s made of linen like this West Elm Helvetica Upholstered Office Chair, since leather traps heat pretty easily. I never noticed this before when I lived in my college apartment since the weather in Irvine is at least 10 degrees cooler than my hometown, but once I moved back, I realized my leather chair made me sweat significantly more (especially on my thighs – I know TMI and gross, right?!). Now that we’ve got the actual furniture taken care of, what’s an office without ample lighting? I have a very traditional standing lamp in my workspace right now, and while I do love it, I want something a little less traditional and a little more fun and creative for my dream office. This is why I instantly fell in love with these Hanging Bulb Pendants from Anthropologie the moment I saw them! Not only are they super minimalistic, I also love the urban feel it gives off! 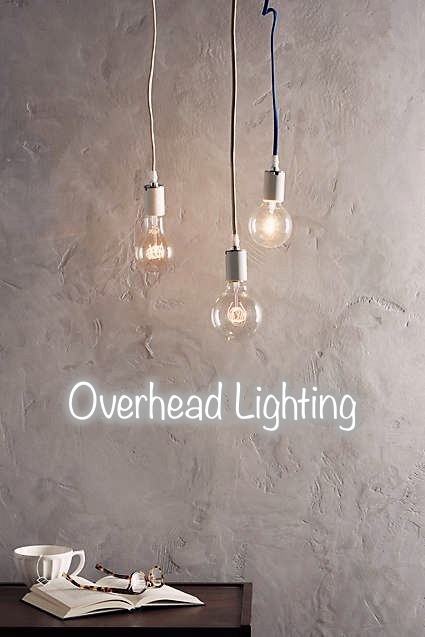 What’s even better is that you can use as many as you want (whether it’s just one or a cluster of three or more) depending on the natural lighting situation in your current space. Since I have four large windows in my home office, I get plenty of natural lighting, so I think a cluster of maybe five or seven would do for me. Aside from the storage that comes with my current desk, I actually have a bookshelf that sits to the side in which I store my many papers, files, books, and knick-knacks. While it’s definitely functional, it really doesn’t match the whole color scheme of my workspace, and it just kind of awkwardly sits there, not really fitting in (wait a second, is this starting to sound like a bad high school movie? LOL!). 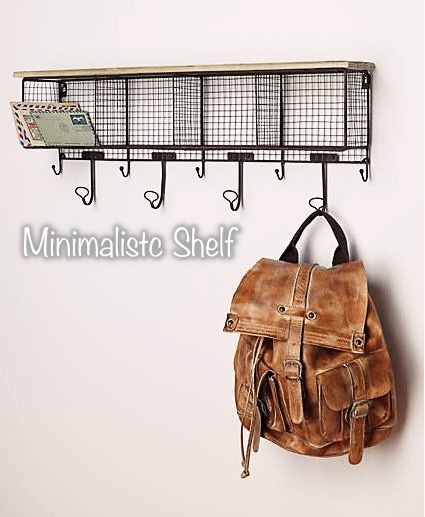 When I saw this Wire Wall Cubby from Anthropologie, I just knew that I had to have it, whether it’s right now or in the near future, but I just need it! I love the minimalistic yet urban design of it, and I can tell that it’s super functional as well! What’s even better is that it’s attached to the wall, which means I’ll have more floor space, and the whole office will be more roomy and visually enticing. And now that we’ve taken care of all of the functional elements, I can finally move on to more decorative pieces (my favorite)! I’ve always wanted a plant, but then again, I’m not the best at keeping things alive (I’ve already failed too many goldfish to count in my early childhood days, and I haven’t ever really trusted myself with pets or plants ever again). 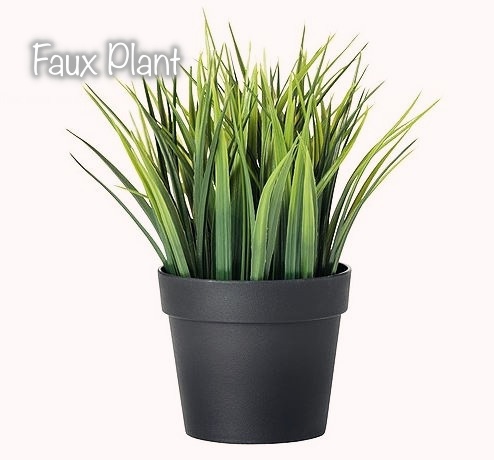 This is why the Fejka Artificial Potted Plants at Ikea always caught my eye – not only do they add such a healthy pop of green to the office, I don’t have to ever worry about forgetting to water it! And I don’t know about you girls, but I love working with a burning candle in the background because there’s just something so cozy about having soft scents envelope you as you work (plus, it makes me feel so productive)! 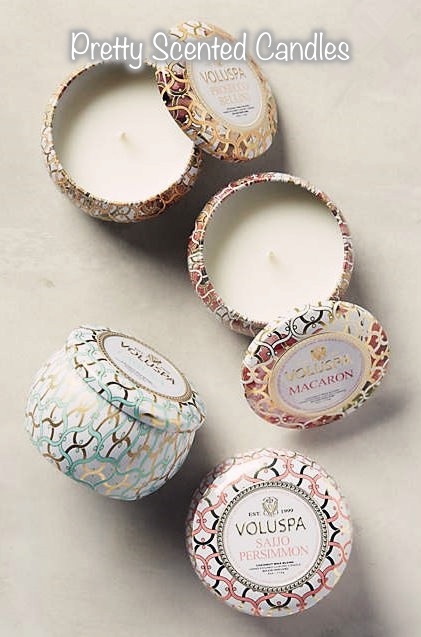 I’ve always been a big fan of Bath and Body Works candles (as you can see from my previous post here), but I also love to add new scents to my collection, particularly those with very pretty designs and luxurious packaging like these Voluspa Maison Blanc Mini Candles from Anthropologie. I know they’ll add not only so much personality to my workspace, but my olfactory senses will also be thanking all of the pretty scents. And of course, last not definitely not least, I’d love to have an inspirational quote up on my wall to keep me motivated everyday! In my office right now, the walls are pretty much bare except for one calendar, so it can get pretty boring when I’m looking up from my screen during my little breaks. I often turn to Instagram, Pinterest, or Tumblr for inspirational quotes when I’m in a rut, but then that can turn into a whole binge of looking at and liking a million other unrelated photos (not good 😦 ). That’s why I think having an inspirational quote on the wall not only adds so much character to the room, it also acts as a grounding mechanism to keep me in check. And that completes my dream office for now! Though it’s a very nontraditional work environment and many people have doubts about working from home, I love it because 1) I’m very productive at home 2) I feel like I have so much control over how I use my time and 3) I don’t have to get dressed and put on makeup (haha I know, I’m lazy 😛 ). However, there are days that I do get distracted at home as well or my creative juices just aren’t really flowing, and whenever this happens, I enjoy the liberty of getting to go to a local coffeeshop to get some work done. The change of scenery really helps to get me inspired, allowing me to see things in a new light, and that in turn can help me produce creative work from a new and fresh perspective. And you know, it feels kind of good to actually get dressed up once in a while to go outside and just, uh, breath 😛 haha! Whether you work from home, the local coffeeshop, or shared office spaces like WeWork, what matters is that you have a space you’re comfortable in that allows you to create quality content and present your best work possible. Where do you all go to get work done? What would your dream office look like? Amazing work-space! Love your post! It’s my dream to have a workspace like this ❤ 🙂 Thanks for stopping by Trang! It’ll be a dream come true if I can really get an office like this one! ❤ Thanks for stopping by Summer! Haha I wish I did too Indi 🙂 Thanks so much for stopping by! 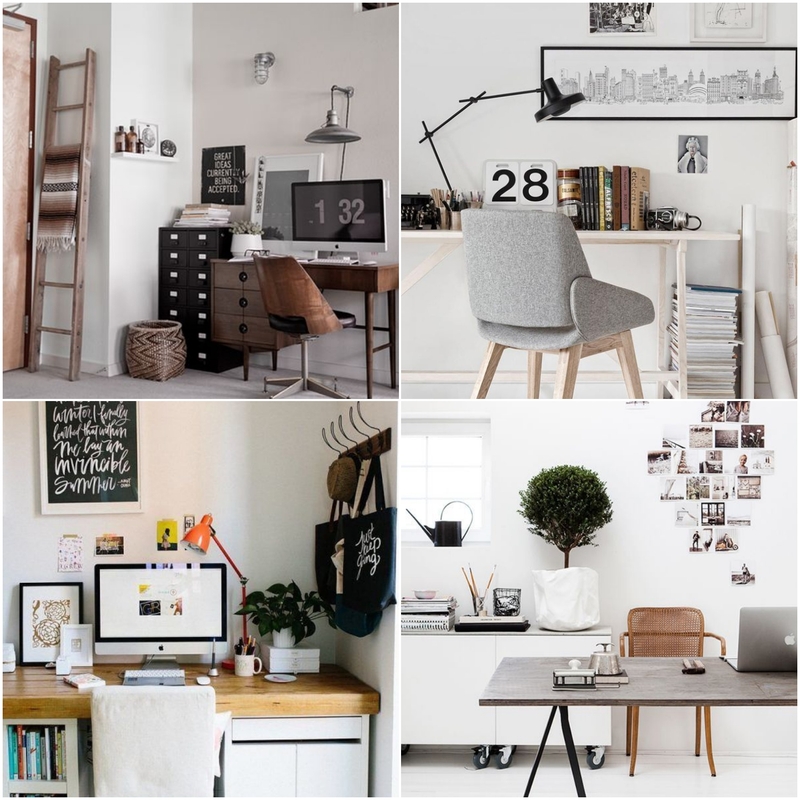 how i wish i had a home office that looks fabulous as those! hahaha just a nice cozy couch and a cup of coffee will do for me now 😛 just curious – so are you a full time blogger elizabeth? And yes, I'm currently a full-time blogger, though I'm really trying to figure out what I should do with my life. Haha it seems like after graduation, I've lost my sense of direction, so I'm just blogging in the meantime. Are you a full-time blogger as well? I love your dream work spaces, been dreaming of it too. Hahaha I’ve been dreaming of it too! 🙂 Thank you so much for stopping by Christianne! Love this work place! So chic and comfy! Haha I wish I can have those home offices too Tiffany 🙂 And oh, I love working in coffee shops too! The people watching always inspires me to be more productive (but I also just love the environment so much) ❤ Thank you so much for stopping by, and have a great weekend! Hahah definitely not Tiff 🙂 Thank you so much for your kind words and your encouragement! And yes, to answer your previous question, I’m currently a full-time blogger while I try to find my way and direction in life. I’d love to talk to chat about career and girl talk with you too 🙂 You can always shoot me an email at heyclothestoyouuu@gmail.com since we can have more personal conversations there ❤ I'd love to hear from you! Aww thank you so much love 🙂 I’m sure the basement will provide a large enough space for your sewing/working station. I’m very excited to see it. 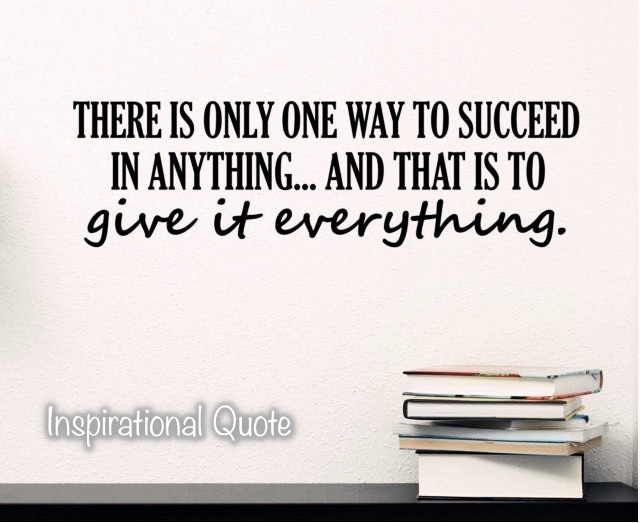 I always look for inspiration on Pinterest too! Everything on there is always so beautiful! Haha and of course! Thank you so much for reaching out to me 🙂 Always glad to make more blogger friends!